Wir brauchten keine Hilfe vor Ort. Daher neutrale Bewertung des Büros. Todo perfecto.Hemos estado muy a gusto.Su ubicación es buena y una zona muy tranquila. 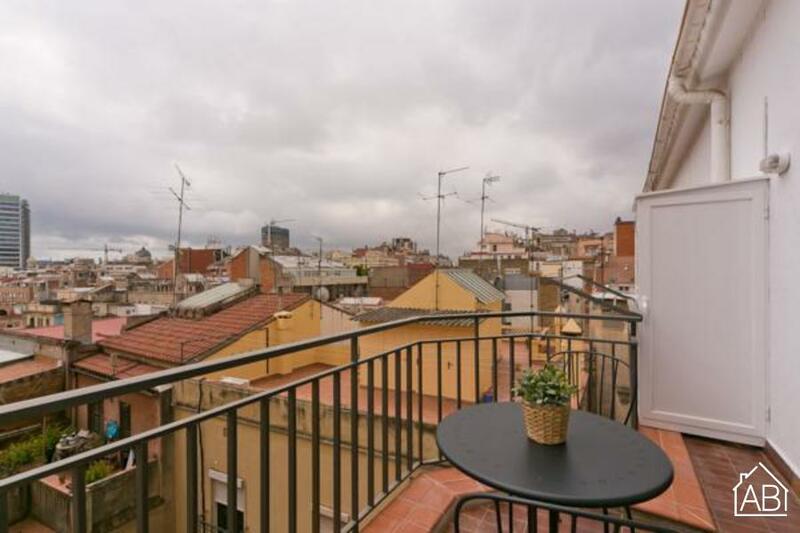 This spectacular penthouse apartment in Barcelona is situated in the Sarrià neighborhood by upper Barcelona, in a relatively quiet area, with good access to all the sights of Barcelona by public transportation. This apartment has two bathrooms and three bedrooms; one double, two single and bunk beds. The residence is complete with modern décor and comfortable furnishings, making you feel right at home. This apartment sleeps up to five people. The living room has a flat-screen TV, a nice sofa area and a dining table. Keep in touch with those back home with the Internet connection. With a fully-equipped kitchen at your convenience, try your hand at whipping up some delicious Spanish cuisine. Enjoy your special meals ´al fresco´ on the balcony. This luxurious penthouse apartment in Barcelona is surrounded by plenty of cafés and restaurants. With a park nearby (Turó Parc) you can enjoy a stroll around or kick back on the grassy areas. Please note: There is a parking space available for 20 EUR per day.